Abbey MacDonald is an award winning early career researcher and Senior Lecturer in Arts Education, where she specialises in visual art curriculum, pedagogy and practice. Her classroom teaching experience includes secondary visual arts, media arts and English, as well as diverse pastoral leadership roles. Dr MacDonald’s work in the College of Arts, Law and Education is undertaken in the Master of Teaching (Arts Specialisations), the Bachelor of Education, and Research Higher Degree supervision of students working across the School of Education and School of Creative Arts and Media. While her areas of teaching and practice specialisation are grounded in visual and media arts, she has taught into, designed and developed units for face to face and online delivery across the five Arts in Australian tertiary education contexts. Dr MacDonald has extensive experience in development of online pedagogy, blended learning and curation of learning spaces for the online domain, with her practice and achievements being recognised through awards bestowed at both university and national level. Dr MacDonald specialises in Arts-based and storied research methods and their interdisciplinary applications. 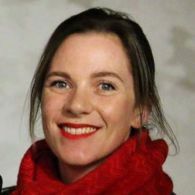 Her priority research contexts include navigation of the politics of collaboration, brokering professional learning initiatives and community partnerships for education contexts, conceptualising intersections between Arts-based methodology, practice and pedagogy, and enactment of interdisciplinary curriculum. As an artist, teacher, community volunteer and mother, Dr MacDonald brings to all aspects of her work a strong personal focus upon Arts advocacy, teacher empowerment, community engagement and multi-stakeholder collaboration. She is driven by her own personal experience of the transformative power of the Arts and education, and her belief in quality Arts education for all. Dr MacDonald is a practicing visual artist and curator, working in oils and cross media. She is Vice President of Art Education Australia (AEA), and Immediate Past President/Councillor of the Tasmanian Art Teachers Association (TATA). 2017 - UTAS Career Development Scholarship (Individual) for the project - Refining the Relational Art Inquiry Tool (RAIT) for pedagogical inquiry and curriculum enactment in media arts. 2016 - UTAS Category A Teaching Development Grant for the project - Classroom collaborations: Curriculum art-ventures of primary students and teachers – A pilot investigation. Dr MacDonald’s approaches to teaching are guided by a philosophy that leverages from relationality brokered between art making and art teaching practices. Dr MacDonald enacts this through engaging in an ongoing reflective dialogic process of adopting and refining artist-teacher pedagogical knowledge from her research, community service and teaching programs to cultivate innovative learning experiences for our MTeach Arts pre-service teachers. Through adopting relational collaboration to develop meaningful partnerships with Arts and education stakeholders, Dr MacDonald ensures pre-service art teachers are given diverse opportunities to explore authentic examples of teacher/artist pedagogy and practice, and outcomes that can ensue in real-world art learning and teaching applications. Dr MacDonald’s students benefit from a learning experience that aligns powerfully with the teacher professional learning opportunities they will be presented with upon their graduation. The quality of Abbey’s teaching was recognised in 2018 through her being awarded the University’s highest level of award for an early career teacher, the Vice Chancellor’s Award for Early Career Academic Teaching. Further to this, Abbey has received UTAS Teaching Merit Certificates (2011, 2016) and she has also been awarded a UTAS Teaching Development Grant (2017). She holds ongoing state and national leadership roles in Art Education contexts, reiterating the regard in which she is held by her peers and the pedagogical and practical credibility of her work in and for Arts education. The nature of her work across fields of Arts-based research in education contexts and storied research necessitates a complement of traditional and non-traditional outputs. Abbey’s impact as a researcher who embodies and enacts the relational values she advocates for are evidenced in the quality and quantity of research outputs delivered across creative practice, educational theory and research method contexts. As a Qualitative and Arts-based methodology expert with experience supervising creative practice and education projects, Abbey supervises a range of Research Higher Degree students across the College of Arts, Law and Education (CALE), in both thesis and exegesis pathways. Further to her Arts Education discipline area, Dr MacDonald continues to contribute to broader Education research agendas, activities and culture, locally, nationally and internationally. Graduate teachers and social workers face many challenges in their first year of practice: managing new professional environments, assuming new responsibilities, and meeting accountability standards and performance expectations (Zukas 2011) often with little systemic workplace support (Ingvarson 2014). These issues have been shown to contribute to high levels of stress and burnout (Nobel & Mcfarlane 2007; Smullens 2015), and early career attrition (House of Representatives Standing Committee in Education and Vocational Training 2007), with up to one third of teachers in OECD countries leaving within the first five years of professional practice (Ewing & Manuel 2005). In the face of such demands, opportunities to sustain creativity, curiosity, resilience and a sense of presence in the day-to-day relational practices required of teachers and social workers are limited, with a reported mismatch between early career professionals idealistic motivations and everyday experience (Abbott-Chapman 2005; Day & Gu 2010). This project will form a new interdisciplinary team to improve new teachers and social workers experiences of crossing, transitioning, [and] translating (Johnson et al 2014) their first year of professional practice. We aim to pilot a creative strengths-based mentoring approach that enables new teachers and social workers to develop their personal and social resiliency, agency, and professional identity while enacting the values and understandings that underlie mandated professional standards. When implementing new curriculum, ongoing support to enable teachers to adapt their existing strengths and skillsets without compromising their values and pedagogical preferences is needed. In order to help them realign their existing pedagogical practices, Tasmanian primary teachers have voiced a need (via the Tasmanian Art Teachers Association) for learning opportunities that will support them to adopt a flexible approach to interpret and enact the new Australian Curriculum: The Arts. In response to this identified need, the Tasmanian Art Teachers Association (TATA) partnered with the Professional Learning Institute (PLI) to develop and deliver a two day tailored professional learning program to support teachers in their enactment of the Australian Curriculum: The ArtsThis research project will evaluate the impact and outcomes of the above professional learning experience from the perspective of the participants, as well as gain insight into how the partnership between TATA and the PLI evolved as a collaborative professional learning venture. This pilot investigation will generate invaluable data that will enable stakeholders to understand the challenges and benefits inherent to cultivating professional learning partnerships, and inform the development and delivery of ongoing professional learning experiences for art teachers in Tasmania. This project collates a patchwork of practices to show how a/r/tography is being enacted around the world by early through to established career academics and arts educators. The individual contexts explored in this collaborative venture represent the perspectives and practices of a/r/tographers working across six continents and seven countries (Australia, Brazil, Canada, Iran, Taiwan, USA and Spain), ascertaining insights into their experiences of conducting a/r/tographic studies, or teaching courses with an a/r/tographic influence. Coupled with appreciating educational practices as research and inquiry, this project examines the journeys undertaken by these arts educators as they conceptualised and engaged in practice based research that used the arts and education as their basis for inquiry.